Despite facing legal trouble in the US for violating state privacy laws by misusing biometric data , or the ongoing investigation into the data mining practices of the Cambridge Analytica scandal, Facebook recently announced plans to implement facial recognition software in Canada and the European Union. This software was originally introduced within the United States in December of 2017. However, this will be the second time this technology has been pushed by the social media company within the EU, after it was briefly introduced and deactivated in 2012 when concerns were raised about consent policies . to tell visually impaired users who is in a photo or video . To do this, Facebook’s learning systems analyze the pixels of an uploaded and tagged image and create a unique template that is assigned to a known user. These templates are then compared against newly added pictures in order to find a match. Once a match is found, users are notified that they have appeared in an image, even if they haven’t been tagged. However, there’s only one snag: unless a photo is used as a profile picture, users must be in the sharer’s target audience. Therefore, if you are not a Facebook friend of the user sharing the image, or they have applied increased privacy settings to who is able to view their photos, users may not see all images they appear in. Users are also able to opt out of this service at any time, wherein Facebook has reassured the public that they will delete the templates they have created . While a timeline has not been set for when Canadians can expect to see the technology, many have already expressed concern for how it will be used. Is Facebook promoting this service as a way to increase privacy, when it may just be another way to collect user data? Can users trust that information collected from photos will be deleted if they choose to opt out of this service? Will this service always maintain an opt out option, or will it soon be a requirement of the social media platform? As Facebook’s reputation has been recently tarnished by their unethical data collection policies and practices regarding consent, critical questions like these are not only valid, but important to ask. What are your thoughts? 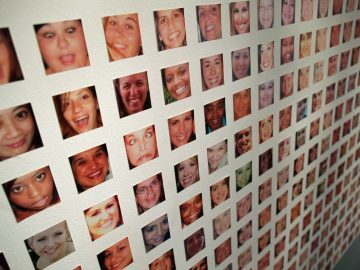 Does facial recognition software on social media concern you, or give you a greater sense of privacy and protection? Be sure to leave a comment in the discussion box below!